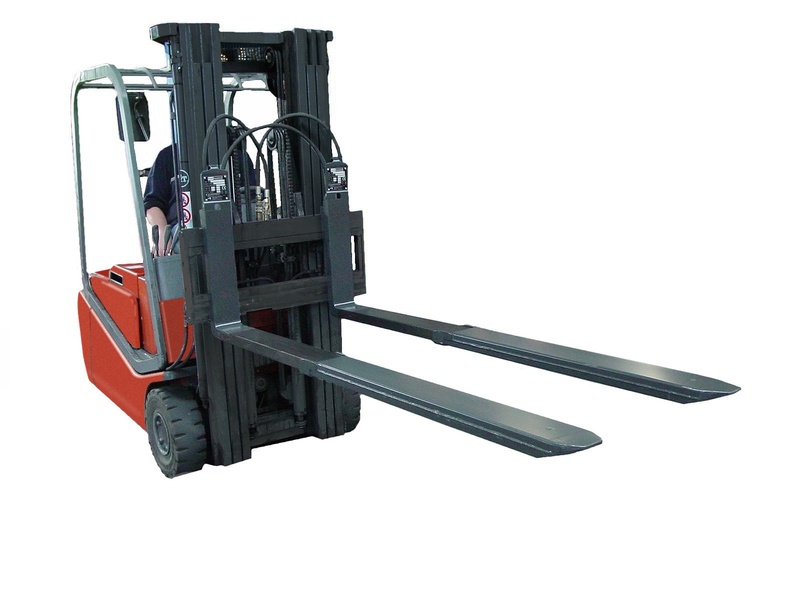 Hydraulic forks are used for loading and unloading lorries, double-stacking pallets in warehouses, and as extending forks to avoid damage to pallets and goods when working with a variety of pallet dimensions. The latter application, especially, is being used with increasing frequency. Lift truck forks are almost always too long if the pallet is lifted from the side; this can result in damage to the goods at the back. With its new generation of telescopic forks, Meijer Handling Solutions has introduced an extremely efficient design to the market, enabling users to achieve virtually any desired fork length such as 800 mm, 1000 mm or 1200 mm. Thanks to a special construction of the movable outer fork sleeves, these also cannot touch the pallet planks if the Reachforks are pulled out of the pallet. Investment in hydraulic extending forks pays for itself quickly through prevention of damage to pallets, packaging and products. Using the same version, two pallets at a time, one behind the other, can be lifted if desired. 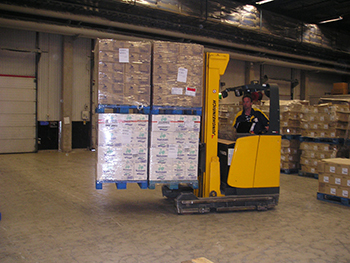 This method speeds up loading, unloading and internal transport; furthermore, it enhances safety because the optimum field of vision is maintained as pallets do not need to be stacked two-deep or transported alongside each other. Because of its specialisation, Meijer Handling Solutions has also developed different versions of telescopic forks for various applications. For bulk goods, beverages, bricks and blocks, for example, Meijer Handling Solutions has developed special narrow forks that can be fitted, if desired, in combination with a double fork adjuster. With this extension, one, two or four pallets can be lifted. Lorries and railway trucks can be loaded and unloaded in a jiffy. For this application, too, Meijer Handling Solutions utilises the special forks that prevent snagging on pallet planks. The KOOI REACH FORKS® are used in the Automotive, Retail, Beverage, Food , Pharmaceutical, Chemical and many other industries.